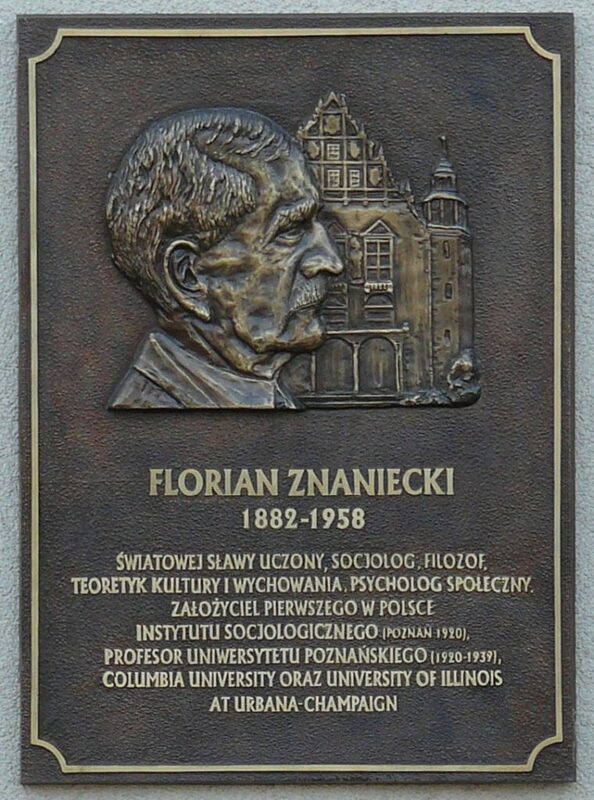 Florian Znaniecki Scientific Foundation was established in 1989. We are nongovernmental organization founded by the Znaniecki’s disciples and by the scholars inspired by his thought. Among the members of our Foundation’s Council you find such academics as Robert Bierstedt, Lewis A. Coser, Zygmunt Dulczewski, Richard Grathoff, Elżbieta Hałas, Franciszek Jakubczak, Antonina Kłoskowska, Władysław Kwaśniewicz, Andrzej Kwilecki, Władysław Markiewicz, Robert K. Merton, Jerzy Smolicz, Jan Szczepański, Steven Vaitkus, Sławomira Zbierska-Salameh, Janusz Ziółkowski, Helena Znaniecka-Lopata or Jerzy Zubrzycki. We would like to participate in sharing informations about publications and research projects on Florian Znaniecki, his ideas or on themes that he explored (such as culture, migration, city, education or nation). Furthermore, if you want to cooperate with us in the future or want to receive the news about our initiatives – please do not hesitate to contact us too.